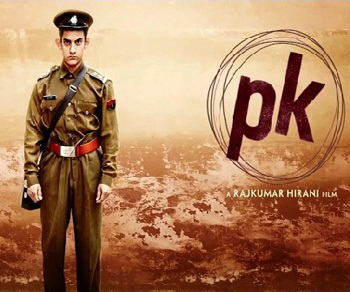 New Delhi, Dec 31 : Uttar Pradesh Chief Minister Akhilesh Yadav announced on Wednesday that Aamir Khan starrer ' PK' will be entertainment tax-free in the state. The blockbuster film has been under attack from several right-wing organisations that have vandalized several film theatres across the country for screening the film. Protesters in New Delhi had stormed a theatre showing the movie and vandalized furniture and also forced the theatre owners to stop the screening. The Bajrang Dal has accused the film of making fun of Hindu gods and godmen, a charge denied by film director and actors. Thane - Aamir Khan-starrer 'PK', which has received rave reviews and set the box-office on fire, has earned the ire of right-wing groups who claim the film hurts the sentiments of the majority community. Hindu Janajagruti Samiti (HJS) has sought an immediate ban on the movie, saying its content is "highly provocative" and hurts the religious sentiments of the community. Maharashtra Coordinator of HJS Sunil Dhanvat today said the outfit has filed police complaints against the film and its makers in Navi Mumbai, Nagpur and Sangli. Aamir Khan's 'PK' hit theatres with great expectations! New Delhi, Dec 19 : Aamir Khan's comedy-drama 'PK' has finally hit the theatres and is expected to break several box-office records. People thronged theatres across India to watch the much awaited Bollywood comedy-drama as the movie is considered as the most anticipated Bollywood film of the year. "I am anticipating that the film is good. I booked tickets for this show five days ago," said a viewer, Ajay Kumar, outside a theatre in India's northern Lucknow city. Trailers and publicity stills released in the last few weeks have sparked a guessing game about the plot, with its green-eyed hero said to be an alien or an autistic savant. New Delhi, Nov 15 : Aamir Khan recently hosted a special screening of documentary titled 'After My Garden Grows' in Mumbai. Speaking at the event, the 49-year old actor said, "Even our law states that girls should not get married under the age of 18. This is against our law and, there comes an age when a woman is mentally, physically or emotionally ready to become a mother or she is ready to run a family. So, they should not get married in a young age." Imran Khan, Kangana Ranaut, Kiran Rao and many others also marked their presence at the event. Agra - Bollywood actor Aamir Khan was in the city to shoot for a live TV show. Reliance Foundation chairperson Nita Ambani and Khan's wife Kiran Rao were also in the city for the shooting of 'Mumkin Hai', a special segment of popular TV programme 'Satyamev Jayate', at a luxury hotel here. Sunday's episode of Satyamev Jayate was the final episode of season 3 and focussed on how our skewed notions of masculinity is mainly responsible for violence we encounter in our daily lives. 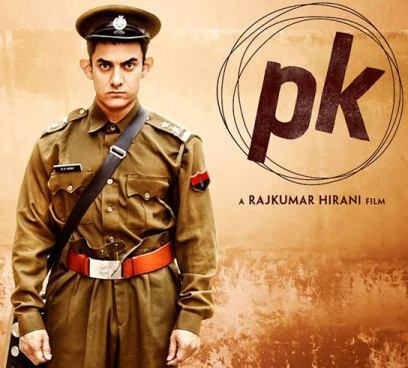 Noida - The intriguing posters and teasers of 'PK' have started several rumours about the film but Bollywood star Aamir Khan says he enjoys reading and hearing the tittle-tattle about his upcoming movie. Some rumours that are floating suggest that the 49-year- old actor is playing an alien, some are saying that he plays an alcoholic while others claim he essays the role of a mentally-challenged person in the Rajkumar Hirani-directed film. "I don't mind the rumours at all. In fact I enjoy reading about people's anticipation. I have heard all the stories and I am amused by them. I think these should continue till the movie releases," he said. New Delhi, Oct 6 : "Jazba Hai ToMumkin Hai", a feedback interactive programme with Aamir Khan, based on the shows of Satyamev Jayate, will be broadcast on All India Radio's FM Network, Vividh Bharati National Network and identified 94 primary channels/local radio stations beginning from October 11 to November 15 on every Saturday. In total, there are six programmes that will be aired at different timings on various channels of All India Radio. The calls from the listeners of AIR will be received on Monday, Tuesday and Wednesday. The listeners can call up and share their experience from 11 a. m. to 4 p. m. on these days. New Delhi, Aug 21 : After creating a sensation with their first poster, the makers of Aamir Khan Starrer 'PK' launched their second poster in Mumbai recently. The new poster shows Khan in traditional Rajasthani attire. He's also sporting dark glasses and holding onto a brass tenor. 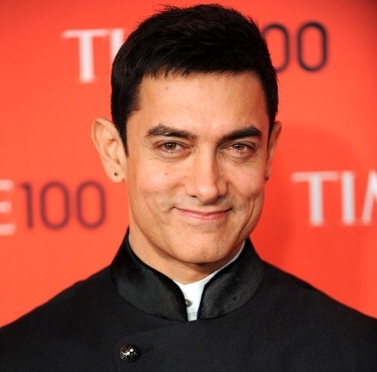 New Delhi, Aug 20 : Aamir Khan has admitted that he always believes in following his dreams. Speaking at the Young Inspirator's seminar, the 'Dhoom 3' star said, "I think each one of us finds our own path. So what is important to me, which I would like to share with you, is that I always believe in following my dreams". I am very passionate about whatever I do, whether it's my work or any sport, hanging out with friends, whether it's having argument, or laughing about something," he added. Kanpur: A lawyer on Friday moved court against Bollywood star Aamir Khan and a Hindi daily for publishing an "obscene" poster of his upcoming movie `P. K`. The lawyer alleged that the film`s poster published on Friday would incite "sexual violence" and encourage "obscenity". New Delhi: After Bollywood actor Salman Khan`s tryst with the infamous black-buck (chinkara) case, now it`s Aamir Khan`s turn to face the music. According to reports, the Gujarat high court on Friday began the final hearing process of the case that was filed way back in 2006. A leading daily reports that the case was filed against the actor and the crew of his film `Lagaan`, which was released in 2001. However, a petition was filed only after six years in the Bhuj court over allegedly killing a chinkara during the film shoot. New Delhi, June 9 : Dalip Tahil, Pritish Nandy, Prahlad Kakar and may others were spotted at the launch of Pradeep Chandra's Coffee table book 'Aamir Khan: Actor, Activist, Achiever' in Mumbai. Speaking at the event, Pritish Nandy said, "Aamir is a great actor, famous activist; he has done some remarkable movies. And he is a remarkable man. But this book is more about a man who has paid tribute to Aamir Khan ." Mumbai, May 30 : Actor-filmmaker Aamir Khan Friday said he is not a user of Instagram and that any account in his name on the online photo-sharing website is "fake". "Guys, I am not on Instagram. It's obviously some fake account," Aamir posted on his official Twitter page. Mumbai, April 24 ; Bollywood's thinking actor Aamir Khan came along with wife and director Kiran Rao to cast his ballot Thursday and appealed to everyone to step out of their homes to fulfil their civic duty. "It is a very important day today (April 24) and once again I appeal to every Indian to step out and go, vote. I have come along with my wife Kiran to cast our vote," Aamir said here after he cast his ballot. "To every Indian I would like to say that it (voting) is a very important process in our democracy and every Indian should become a part of it. I believe that everyone will step out and vote," he added. New Delhi, April 15 : Christmas season seems to spell magic for Aamir Khan’s films and continuing with the trend, the makers of his upcoming film “P. K.” have decided to release it about a week before X-Mas. "Vinod Chopra Films and Rajkumar Hirani Films, in association with Disney India, confirm that ‘P. K.’ shall release on Dec 19, 2014,” said a statement. The political satire was slated to release in June this year but it got delayed. Hirani, who is also directing the film, had earlier said that most of Aamir's films release during Christmas and they have done well. 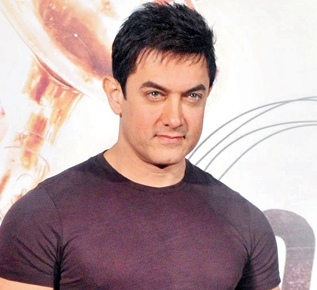 Mumbai, April 5 : Superstar Aamir Khan has no clue what his 21-year-old son Junaid plans to do in life. He says he doesn't "tell me anything". "We don't have any command on our kids. What will he do, when will he do, I have no idea. He doesn't tell me anything," Aamir told reporters here at the trailer launch of Jackie Shroff's son Tiger's debut film "Heropanti" Friday. "You (media) please ask him and tell me about his plans," he added. 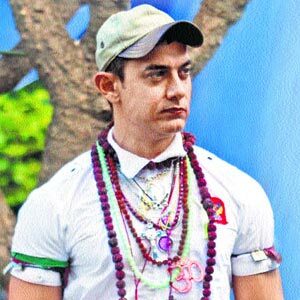 Mumbai, March 8 : Aamir Khan believes there are only a few people who dare to speak their mind, but personally, the actor-filmmaker prefers to be prudent with his words to avoid hurting people "for no reason". Recently, veteran actor Naseeruddin Shah was upfront with his views on the Farhan Akhtar-starrer "Bhaag Milkha Bhaag". He said he didn't like it. Asked if Aamir can be so straightforward with his views on films or stars publicly, he said: "Few people have the guts to say what they feel. In general, there are a few artists who say what they feel.